When's the last time you thought about your cylinder head? If you've noticed a decrease in fuel economy or your engine has been overheating, you might want to take a look at your head—it could be time to replace it. Your cylinder head serves a vital function in your engine. Without it, combustion couldn't occur. Not only does the cylinder head let air in and exhaust out, both coolant and fuel move through it. Damage to the cylinder head can cause severe problems for the rest of your engine, so it's important to diagnose and address issues as soon as you can. Worn or broken valve stems or guides can cause a poor seal. This allows oil to enter the intake or exhaust ports, leading to high oil consumption. Similarly, improperly sealing valves affect the pressure during combustion. This causes more fuel to be used to achieve the same amount of power. Overheating leads to cracks in the cylinder head. These cracks spell trouble for the rest of your engine. If left unaddressed, the cracks could worsen and allow combustion gas to infiltrate the coolant, or for coolant to contaminate your oil. White smoke can point to a cylinder head issue. Sometimes, it indicates oil contamination caused by a cracked head, especially if the smoke is coming from under the hood. One decision you'll have to make is whether you want a new cylinder head or a remanufactured one. Our remanned cylinder heads are professionally rebuilt, with any wear or cracks repaired to run like new, all the while saving you cash. And we've done the research! 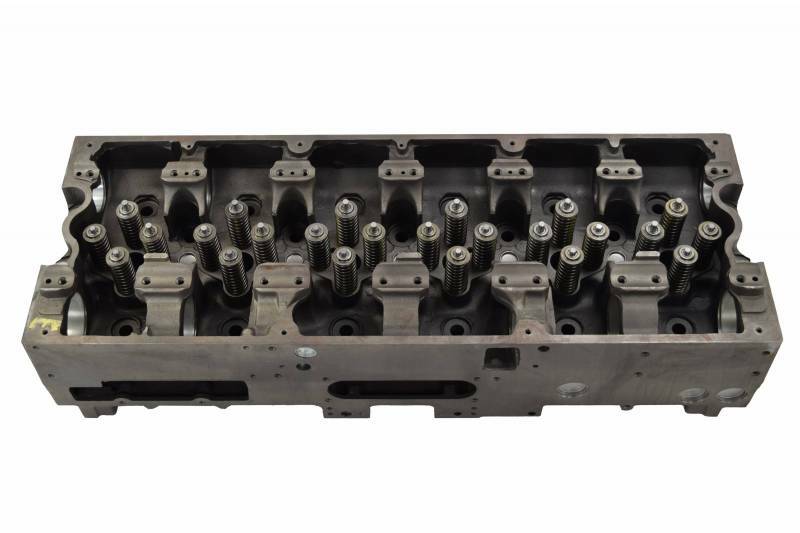 We know which cylinder heads can be sold remanufactured and which are better sold new. For more information on the remanufacturing process, check out our past blog, Rebuilt Cylinder Head vs. Remanufactured Cylinder Head. While a new cylinder head will cost you a little more money, you'll also know that there haven’t been any previous issues with it. A new cylinder head from us includes all new components as well, so you're getting the additional peace of mind knowing that you should be ready to run for another million miles. It's important that you purchase a cylinder head that is compatible with your engine model, otherwise you'll find yourself facing even more down time as you look for the proper part. Having your engine serial number handy while you shop can help with this. Not sure which head is right for you? Request a quote and let us help you! Why buy quality aftermarket over OEM? Let us show you! With a cylinder head from HHP, whether remanufactured or new, you'll get all brand new components—valves, guides, springs, keepers, retainers, injector cups, and cam bearings (if they're used). Most places, including the OEM, will try to reuse as many parts as possible. We put new components in our heads because we know that's what you need to keep your engine running for another million miles. Why would you trust the health of your engine to used parts? We don't think you should have to! Do you like to spend more than you have to? If you're like us, the answer is no. With a quality aftermarket supplier like HHP, you'll get parts that meet or exceed OEM specifications, for a lot less money. But if you go with the OEM, you'll be paying as much as 50% more for the same part. And, for the most part, with OEM parts, you're paying for their name on the box more than anything. Don't believe everything you hear about the poor quality of aftermarket parts. 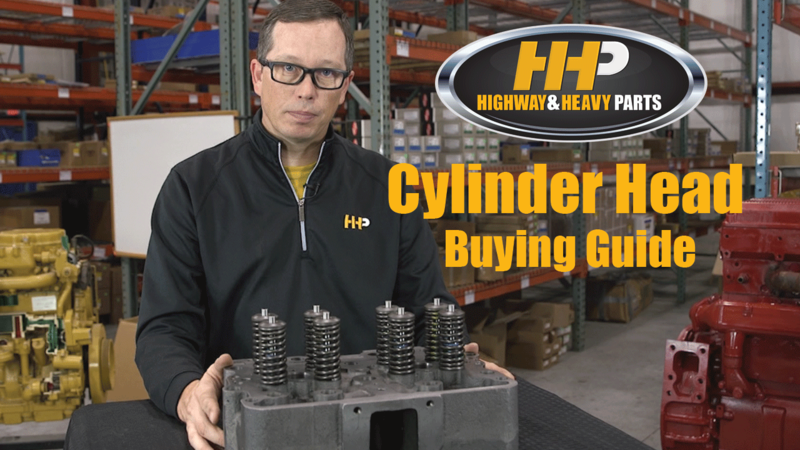 Some aftermarket suppliers may stuff scrap metal in a box and pass it off as a cylinder head, but that's not something you'll have to worry about with HHP. We spend the time to make sure you get the best possible quality parts—sometimes even exceeding OEM standards. In fact, a lot of times the manufacturers whose parts we sell also make the same parts for the OEMs. That's right, the OEMs don't even make their own parts any more. So while you may think you're getting genuine OEM parts, those no longer actually exist. With a quality aftermarket supplier like HHP, you'll get the same caliber parts for less. And, our warranties are often double what the OEMs offer. If you've noticed any of the signs of cylinder head problems, you probably want to talk to your mechanic. Consider asking the following questions to better understand what exactly is going wrong in your engine. Am I better off purchasing a new or remanned head, or can mine be rebuilt? Could my poor fuel economy or high oil consumption be caused by an issue with my cylinder head? Do you see any signs of oil or coolant contamination? What could have caused the damage to my cylinder head? You can also feel free to give us a call at 844-215-3406 to speak with one of our certified techs regarding any questions you have about cylinder heads, or any of the other diesel engine parts we sell. Click here for a PDF version of this buying guide. 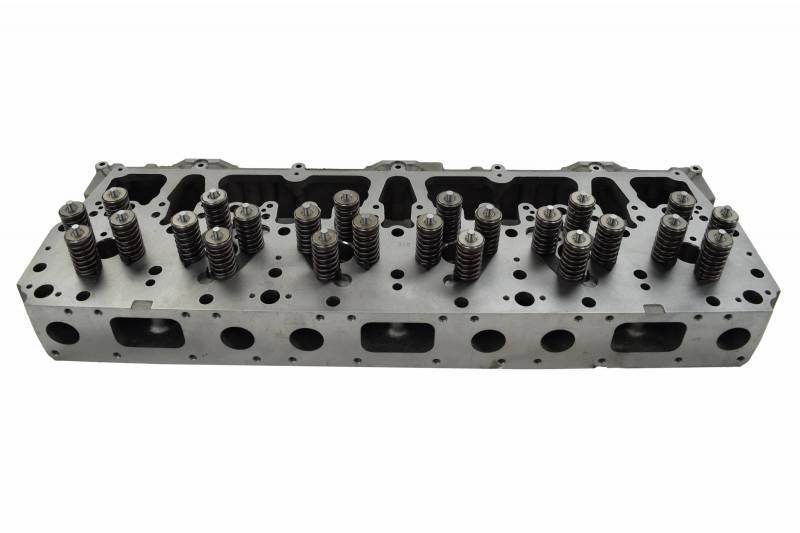 Take a look at our Cylinder Head Product Page to view our selection. Below are some of our most popular cylinder heads. This cylinder head comes with all new valves, guides, springs, seats, seals, cups, and camshaft bearings, so you'll be able to get the job done fast with parts that last. Assembled in America, you know that this cast iron head will keep your engine running for miles and miles to come. With up to 50% off the OEM price, you won't be breaking the bank with this cylinder head! This new cylinder comes pre-assembled and ready to roll—just install in your engine. It also features a new head design with widened passages and a thicker deck that allow for a higher coolant flow. With a 1-year warranty and additional engine cooling properties, this cylinder head gives you everything you need to keep your engine running at its peak. Each new component of this cylinder head—including valves, guides, springs, seats, seals, and cups—have been thoroughly inspected, cleaned, and pressure and vacuum tested. Made of cast iron, this 14-liter head has been made to OE specifications with state of the art equipment. Regain the power your engine used to have with this new cylinder head! Are you looking to spend as little as possible for the best quality parts? Then look no further than this remanufactured cylinder head. It has been made to OE specifications and it will save you money. Assembled in the USA, this head is made of cast iron and has been air decay and wet tested to ensure you're only getting the best parts. After a thorough inspection and cleaning, this head is ready to keep your engine running for miles to come.